CyberGhost is a fast, simple and efficient way to protect your online privacy, surf anonymously and access blocked or censored content. It offers top-notch security and anonymity without being complicated to use or slowing down your internet connection. Communication between the CyberGhost VPN user's computer and the anonymization servers is also particularly well protected to prevent any eavesdropping on data transfers. 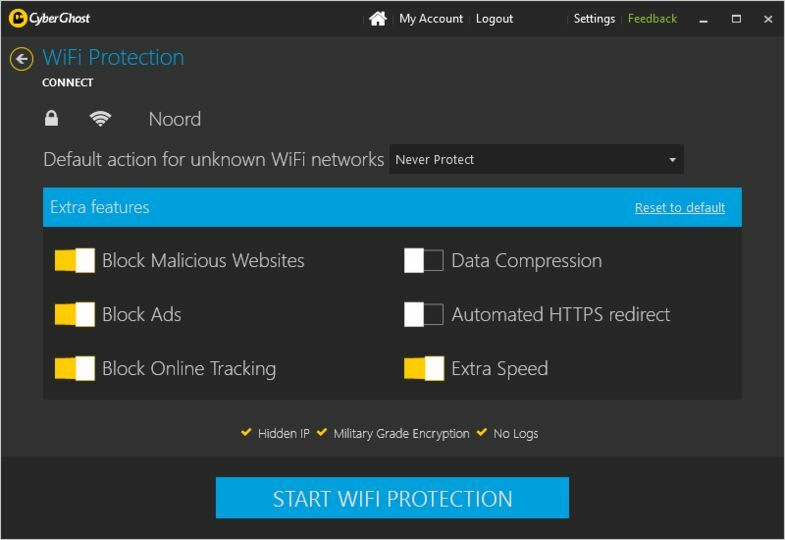 This protection is set up in 2 steps when establishing the connection. 1024-bit SSL encryption is used when establishing the connection. In this case, a 128-bit AES key is negotiated, which is unique for each connection. The actual communication takes place via this AES key. 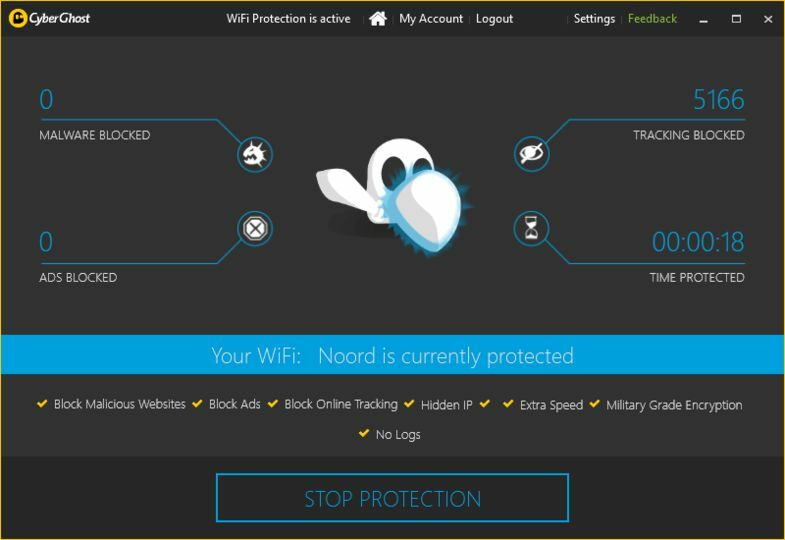 CyberGhost VPN Free Service can be used for an unlimited time and protects every software that connects to the internet. At the time being 80 free servers in 16 countries, all encrypted with strong 256 bit AES, are waiting for you; we further variably add more to keep pace with the growing number of users. Waiting times: If you connect to the CyberGhost VPN Free Service, we will show you for at least 17 seconds one of our ads. If all free servers are booked, you will be being queued and have to wait for a free slot. Ads: While using the Free Service, we will show you every 120 minutes one of our ads, e.g. one of our offers like temporarily valid prices or personal upgrade offers. Forced disconnection: After 3 hours of continous surfing you will be disconnected from our service, but with the possibility to re-connect at once.